Whether you are a complete beginner who is new to the exciting world of online slots or a seasoned player with lots of experience, one of the main attractions of a new site is the free spins on offer to new players. You’ll find free spins promotions at almost every online slots site, often combined with a deposit match bonus that will double your money instantly. But tread carefully because these headline-grabbing offers aren’t always as good as they first seem. Free spins promotions always look attractive in the online ads, offering you tens or even hundreds of free spins as a new player on the site. But before you commit to a free spins offer, it is essential that you read the small print. Remember, slots sites are not in business to give money away, and if an offer headline seems too good to be true, then chances are you’ll find that it is. Of course, the offers are always true, in the strictest sense. 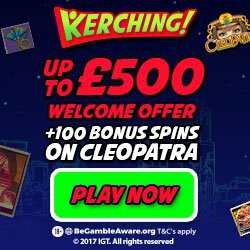 If it says you’ll get 500 free spins, then you’ll get 500 free spins. However, what you stand to win from those spins will often be significantly limited and will rarely be available as cash winnings you can withdraw. Here are just a few of the things to look out for when choosing a free spins site. Almost all free spins offers have a winnings cap, so you won’t be able to play for the biggest jackpots, even if you manage to line up all the lucky symbols. There are two types of caps in which to look out, and whichever you choose will depend on your commitment to playing. The first kind is a low-cash cap. These will limit your winnings to a small amount, such as £2.50 or £5. The upside is that this will usually be added to your cash account for instant withdraw. The second kind of cap is usually more generous, but it is not available in cash. These winnings will still be limited, usually to around £100, but you will find that they need to be played multiple times before they are available to withdraw. It’s called a wagering requirement and varies from as few as 20 times to 40 or more. The idea is that by the time you have played 40 times, your winnings will be substantially less. Another element to look out for with free spins offers is the limited availability of the offer. Usually, free spins must be used within a short amount of time, often 72 or even 48 hours. Any spins you don’t get around to using are written off, so make sure you are ready to play before you sign up for your free spins. Another system of supplying your free spins is to drip feed them. Doing so helps the site to establish a habit because you must come back every day for your next batch of free spins, which are usually only valid that day. They hope that by the end of the week, you are so used to logging on every day, you keep doing it. 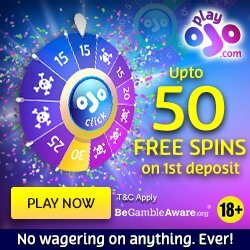 Finally, it is critical to check the terms and conditions to see where you can use your free spins. While the site in question may have dozens of different slots from which to choose, your free spins may be restricted to one or two. You may even have to wager your winnings over and over on the same machine to have any chance of withdrawing them. It’s great if you like the slot in question, but frustrating if you want to try something else. So, should you avoid free spin offers altogether? Of course, not! At the end of the day, it is unlikely that you will ever get rich using free spins. However, they are still well worth claiming for the chance to practice your slots skills. Look out for free spins to get endless opportunities to refine your gameplay, and you may even win a little along the way. Although there may be thousands of different slots themes to choose, the structures of the games are often much the same. That means that the more you play, the more you will understand how the games work, helping you to make the right calls more often. Free spins give you the chance to learn on their money, so when your money is at stake, you are better prepared. They say that there’s no such thing as a free lunch, but free spins come close, in training terms, if not in actual winnings. After all, you have nothing to lose, even if you have little to gain, financially, at least. So, get spinning and sharpening your skills for free, and who knows where it will take you once you start playing those reels for real.